The Turk’s Head Music Festival in West Chester (Everhart Park, Bradford Avenue and Everhart Street, West Chester, 610-436-9010, http://www.turksheadfestival.com) just keeps rocking hard and rolling on — year-after-year. The 36th Annual Turks Head Music Festival will be held on July 15 from noon-8 p.m. in the park at the west end of West Chester. The all-day festival, which is one of the most popular and longest-running annual mid-summer events in Chester County, has a diverse line-up of 11 musical acts. The annual music-oriented party is presented by West Chester Recreation. It is a free event that appeals to the entire family with a wide range of live music as well as a variety of other activities geared to all ages. Attendance usually tops 5,000 — unless there is bad weather. Josh Olmstead will be the opening act at noon. AfroBear will take the stage at 12:44 p.m. followed by Venom Blues at 1:28 p.m., Waiting for December at 2:12 p.m. and Pepperwine at 2:56 p.m.
Mark DeRose Music will perform a set at 3:40 p.m. and Aqua Cherry will play at 4:24 p.m. Hambone Relay will perform at 5:08 p.m. followed by Big Mind at 5:52 p.m. and Dean Shot’s Tribute To Howlin’ Wolf at 6:36 p.m. Half Past Seven will be the final act with a set at 7:20 p.m. The M.C. and event host will be local musician Rob Dickenson. Visitors to Everhart Park this Sunday are welcome to bring picnic lunches and are advised to bring lawn blankets or folding chairs. The festival will also feature a wide array of food concessions with hot food and cool beverages. Other popular annual features at the Turk’s Head Music Festival include kids’ play area with moon bounces and a zip line, a misting tent and an arts-and-crafts show featuring more than 70 talented artisans who will be demonstrating and selling their crafts. There will also be a free yoga class in the park prior to the festival at 10 a.m. Rain date for the event is July 22. Natural Lands Trust’s Eighth Annual Friday Night Lights features an evening of music, beer, wine, and sunset watching on one of Chester County’s most inspiring landscapes – the 1,263-acre ChesLen Preserve. The once-a-year event will feature live music by The Gilroys and Hoochi Coochi, complimentary adult beverages from Victory Brewing Company and Borderland Vineyard and marshmallows toasted over a crackling fire. Another attraction will be stargazing with ChesMont Astronomical Society, the Chester County Astronomical Society, the Delaware Astronomical Society, and the Bucks-Mont Astronomical Association. Visitors are requested to bring their own blanket or camping chairs, and wear sturdy shoes for the uneven ground. No dogs or coolers will be permitted. Tickets are $35 and advance registration required. The ChesLen Preserve is one of the largest private nature preserves in southeastern Pennsylvania. It features sweeping agricultural fields, densely wooded stream corridors and rare serpentine barrens. There are many points on the property from which visitors can gaze for miles in any direction and see virtually no signs of modern development. In 2010, The Department of Conservation and Natural Resources (PA DCNR) designated portions of ChesLen Preserve — specifically the Unionville Barrens — as a “Pennsylvania Wild Plant Sanctuary.” The program encourages the conservation of natural areas and native plants and recognizes private landowners who serve as models of good conservation and stewardship of these special resources. Other small, low-key music festivals around the area this weekend are the 2018 Shady Grove Music Fest in the Village of Arden (2126 The Highway, Arden, Delaware) on July 14 from noon-9 p.m., Jazz in the Park from 3-7 p.m. on July15 at Spruce Street Harbor Park (301 South Delaware Avenue, Philadelphia), and the Narberth Summer Music & Arts Fest on July 15 from noon-7 p.m. in downtown Narberth. If you want to attend a traditional summertime fair, you can do it this weekend — the final weekend for the Malvern Fire Company Fair (Monument Grounds, Monument Avenue, Malvern, 610-647-0693,www.malvernfireco.com). The event will be held now through July 1 from 6-10 p.m. each night. The free event features rides, games and fun for the entire family and discount ride coupons will be available at local merchants. As an added attraction, there will be a gala firework display on July 13 at 9:30 p.m. In the event of inclement weather, the fireworks extravaganza will be postponed to July 14. The annual BlobFest in Phoenixville is unique — literally. In the entire world, there is just one BlobFest and it’s held every year right here in Chester County. 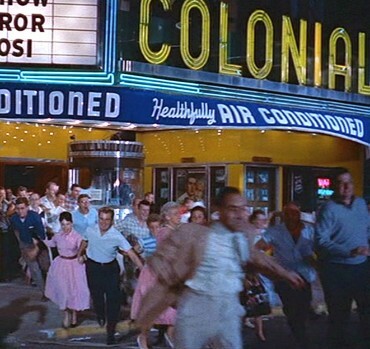 “The Blob” is a low-budget horror film that was filmed at the Colonial Theatre and other locations around Phoenixville in 1958. The movie, which starred a very young Steve McQueen, has evolved over the years into a full-fledged cult classic. “Blob” fans from all around the globe will be heading to Phoenixville to participate in the 19th Annual BlobFest. The Colonial Theatre (227 Bridge Street, Phoenixville, 610-917-1228, www.thecolonialtheatre.com) will host the BlobFest with a variety of special events now through July 15. On July 13, it will be time for the re-enactment of the “Running out of The Colonial” scene. The dress code is billed as “creative” so that the scene will look just like it did when that classic scene was filmed here many years ago. As usual, tickets for the screening have sold out already. But, people are invited to still come to Phoenixville to watch the “Runout” spectacle at approximately 9 p.m.
On July 14, the “Blobfest Streetfair,” which begins at 11 a.m. and runs until 5 p.m., will feature live music, food booths, a “Fire Extinguisher Parade,” roving entertainment, “Merchant Facade Contest,” a “Costume Contest” and an array of special guests including Mr. Lobo, Dixie Dellamorto, Dash Daring, Patient Creatures, Ghoul-A-Go-Go and musical guests Dibbs Preston & the Detonators. Participants will be able to visit four stations featuring a variety of sweet and savory flavors. Station 1 will feature Scrapple and Egg Tart by Mama Mia, 2017 Dry Rosé, Tröegs Dreamweaver Wheat and Chaddsford + Herman’s Coffee ‘Yaaimh Blend’ while Station 2 will offer Yellow Springs Farm Pepito Goat Cheese on a Pretzel Crisp, 2015 Traminette or Sunset Blush and Locust Lane IPA. 4 will feature Gemelli Madagascar Vanilla Gelato Float with 2SP Brewing Baby Bob Stout and Chaddsford Sangria Popsicle by Mompops. The event’s live music schedule will feature Ryan Shubert on July 14 from 12:30-4:30 p.m. and The Road Tapes on July 15 from 12:30-4:30 p.m.
Tickets are $25 at the site. Every year, there is a unique event in Philadelphia to commemorate Bastille Day. In France, Bastille Day is a major holiday (“Fete Nationale”) that is celebrated on July 14. The holiday commemorates the 1790 Fête de la Fédération, which was held on the first anniversary of the storming of the Bastille. 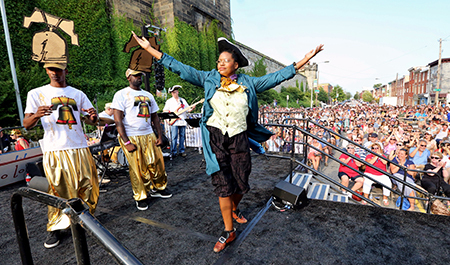 Bastille Day is also a major annual event at the Eastern State Penitentiary Historic Site (22nd Street and Fairmount Avenue, Philadelphia, 215-236-3300, www.easternstate.org). On July 14 at 5:30 p.m., the site will host the “24th Annual Bastille Day Celebration” — a celebration that features The Bearded Ladies (an experimental cabaret troupe), food, kids’ games, thousands of TastyKakes, jugglers, the singing of “La Marseilles” and, starting at 5:30 p.m., the storming of a real Bastille. The troops will capture Marie Antoinette (whose own troops will be pelting the crowd with 2,000 packaged pastries from the prison’s medieval towers). Ignoring her mocking cries of “Let them eat TastyKake!,”, the mob will drag the monarch to a real, functioning guillotine, which was specially built for the occasion. Then, the crowd will decide her fate. The “completely historically accurate” reenactment will be emceed by the voice of Paris herself, Edith Piaf (portrayed by John Jarboe, Artistic Director of The Bearded Ladies). This playful reenactment of the storming of Bastille will include appearances by Joan of Arc, Benjamin Franklin, Mark Zuckerberg, Larry Krasner, and a six-foot-tall French Baguette. The script will touch on such topics as Philly public school education, criminal justice, racial injustice, the border wall and firewalls. Attendees can expect confetti cannons, stilt walkers, a cardboard horse, and a catwalk so long it divides Fairmount Avenue. Tours of Eastern State Penitentiary Historic Site, a 19th-century landmark which was once the most famous and expensive prison in the world, will be held throughout the day. The prison was home to many of America’s most notorious criminals, including Al Capone and Willie Sutton. Tours include the cellblocks, the central rotunda, the solitary exercise yards, and death row. Following the beheading, local Fairmount restaurants will come alive with French-themed entertainment as well as food and drink specials. This monthly tour series provides an informative overview of Laurel Hill’s long and colorful history, which includes many of the marble masterpieces, stunning views and legendary stories. “The Hot Spots and Storied Plots” is the perfect introductory tour for anyone who enjoys beautiful art, scenic nature and fascinating history. Laurel Hill’s experienced graveyard guides will offer visitors a unique perspective for every tour. The walking tour will take place on July 13 and 14 at 10 a.m. each day departing from Laurel Hill Cemetery’s Gatehouse. 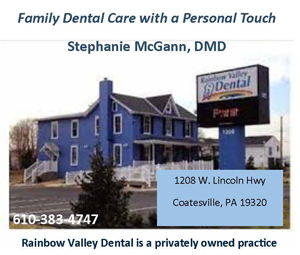 Free parking is located in the lot across the street from the Gatehouse. The cost is $12 for adults and $10 for students and seniors. As the sun sets over Laurel Hill’s historic tombs, the grainy joys of the film experience will be brought to life during the cemetery’s annual summertime movie series. July’s feature film, “The Craft,” will be presented in conjunction with the Philadelphia Film Society. Tickets are $12 for adults and $10 for students and seniors. The 11th Annual Downtown Media Car Show will be held on July 15 from 11 a.m.-4 p.m. at Veterans Square on State Street in Media. 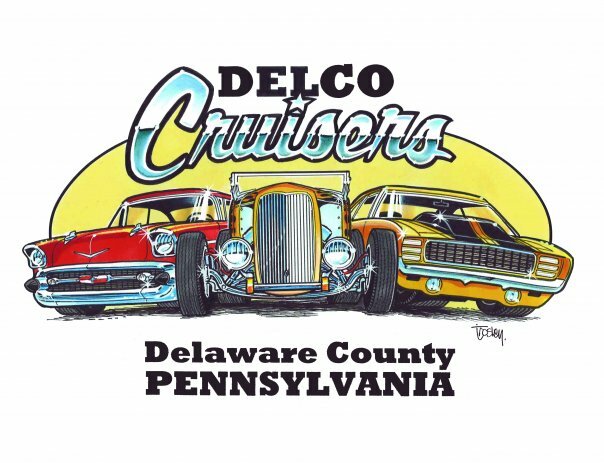 The free annual event, which is sponsored by the Delco Cruisers Car Club and the Media Business Authority, will feature more than 250 antique cars on display. All the stores and restaurants in downtown Media will be open during the event. Visitors can expect comfortable viewing of vintage cars in an area with plenty of trees and shade. Rain date is July 22. Since 1745, the Historic General Warren Inne has been center stage for American history and a premier carriage stop for hungry travelers. The Inne was initially called the Admiral Vernon Inne and was changed to the Admiral Warren after the famed Admiral Peter Warren, a hero who defended the American colony at Louisburg, Nova Scotia during the French and Indian War. During the time of the American Revolution, the Inne was owned by John Penn of Philadelphia, who was a loyalist and the grandson of William Penn. Situated on the main highway between Philadelphia and Lancaster, it became a popular stage stop during the Revolutionary War era — and a Tory stronghold. The Paoli Massacre was planned and launched from the Admiral Warren Inne in September 1777. In 1825, the Admiral Warren was renamed the General Warren, to honor the American hero of Bunker Hill. Now, the General Warren Inne annually presents a series of lectures about America’s war for independence. On the second Monday of each month, the Inne will host “Paoli Battlefield Lecture Series” presented by the Paoli Battlefield Preservation Fund. Guests at the event will be able to learn the dance moves that our early ancestors did out on the dance floor at balls and other social gatherings while listening to the period music. The “Evening of Colonial Music and Dancing” will run from 6-10 p.m. Tickets are $39. Alcoholic beverages are available at an additional cost. On July 14, the Greater Philadelphia Expo Center Greater Philadelphia Expo Center (100 Station Road, Oaks, 610-529-3614, www.eastcoastreptilesuperexpos.com) will host the East Coast Reptile Super Expo featuring hundreds of live snakes and reptiles. The event will run from 9 a.m.-4:30 p.m. this Saturday. 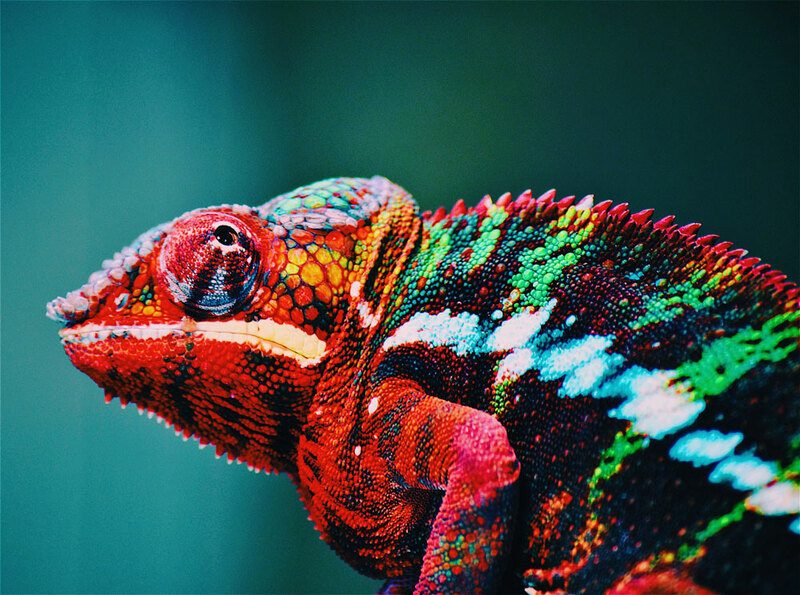 For many people, snakes and lizards are interesting creatures — and maybe even fun pets to own. If you fall into this category, you should check out the show on Saturday. A wide array of reptiles will be on display as part of the popular exhibition, which is an annual event that is closing in on its silver anniversary. The roster of very diverse vendors includes RKZ Rodents, Monstar Reptiles, Turtle to Turtle, Delaware Valley Herpetarium, Newville Dragons, PM Herps, Black Jungle Terrarium Supply, VSCV Ventures LLC, Dachiu Dragons, Tom Rogan Reptiles, Native Exotics, A-Bros Reptiles, Turtles and Terrapins, Venomous Addiction, Liberty Reptiles and Perryman Dart Frogs. The list also includes AZO Reptiles, Rose’s Reptiles, Dale’s Bearded Dragons, Blake’s Exotic Reptiles, Dower Reptiles & Rodents, Reptile Kingdom, DHA Pythons, Gecko Haven, Hunger Reptiles, Jungle Emporium, Delaware Turtle, Just Lizards and Outback Reptiles, Charm City Glam Chams, Fabricdragon Designs, JJR’s Reptile Ranch, The Dragon’s Den, Joe’s Tarantulas, and MJS Reptiles. Other featured vendors will be Heath’s Frog Farm, Corralus Creations, Rogue Reptiles LLC, Jason R Bartolett Captive Bred Reptiles, Fowler Reptiles, Dragon Fortress, Turtle Towns, Garden State Tortoise, Paws & Claws, Darwin’s Toybox, J&R Constrictors, Karmel Spiders LLC, and North Fork Pets. Tickets are $10 with children (under five) admitted free. The two-day event will celebrate National Blueberry Month with everything blue at “Bluegrass and Blueberries,” which will run from 10 a.m.-6 p.m. both days. It will feature locally grown blueberries and blueberry treats plus bluegrass and country music acts. The event is held rain or shine. Admission and parking are free. Visitors will be able to purchase locally grown, field-cultivated berries at Bechdolt’s Orchards Farm Stand, as well as blueberry pies, blueberry butters, jellies and preserves, blueberry shortcakes, blueberry muffins, blueberry cupcakes, chocolate covered blueberries, homemade blueberry fudge, and blueberry soda. Live music will be provided by Ray Owen, Borderline, Mike Brill, the Hillbillies of Cohesion, Toby Mochel and a Few Good Men, Bronwyn & Justin and The Birdhouse Center for the Arts, and Tino & Ashley. 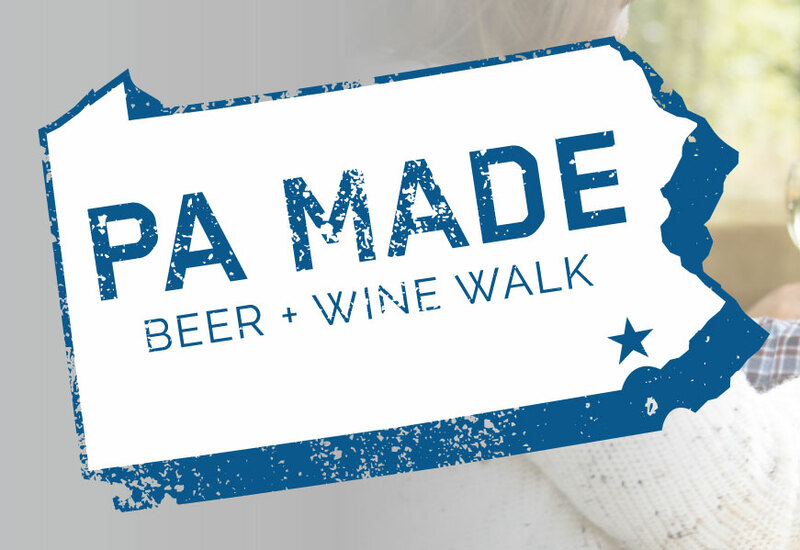 There will also be a sidewalk art show as well as a stilt walker and the always-entertaining pie-eating contests. Historic Germantown and Germantown United CDC is beginning its 2018 Second Saturday series featuring all 16 Historic Germantown sites, which will be open monthly (May thru October). The event highlights the many thriving cultural, civic and business activities that make Germantown an exciting place to visit. Special attractions at Saturday’s event will be a live music; an arts and crafts marketplace; historic re-enactors, family-friendly programs and free bus and walking tours of Historic Germantown sites. The roster of musical talent includes popular local artists Danie Ocean Band, Bethleham and Sad Patrick, Jim and Andrew Dragoni. Germantown resident Yolanda Wisher, the City of Philadelphia’s Poet Laureate, will host the festivities. The Morris Arboretum (100 East Northwestern Avenue, Philadelphia, 215-247-5777, http://www.business-services.upenn.edu/arboretum/index.shtml) has a pair of special events on its calendar this weekend. On July 14 and 15, the Arboretum will welcome a visit from Thomas the Tank Engine and Friends. Kids of all ages can look for their favorite train characters among the whole steam engine gang from Sodor as they take over the Railway for the weekend. On July 15, the historic site will host its annual Grist Mill Demonstration Day at Bloomfield Farm from 1-4 p.m. Historic Springfield Mills at Morris Arboretum is restored and stone-grinding corn for meal and flour. Visitors can explore revolutionary technology, local history and a beautiful setting along the Wissahickon Creek. Both events are included in garden admission which is $19 for adults, $17 for seniors, $10 for youth (ages 3-17) and free for children under three. Live blues music performed outdoors paired with tastings of fresh cold beer sounds like a perfect recipe for a summer afternoon. That’s just what you’ll find at Mount Hope Estate & Winery (2775 Lebanon Road, Manheim, http://www.parenfaire.com) on July 14. 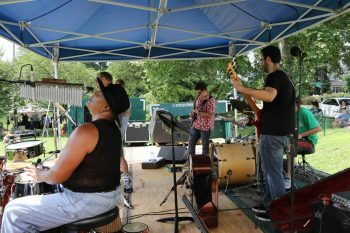 Mount Hope Estate, which is the home of the PA Renaissance Faire, will present its Ninth Annual Blues & Brews on Saturday with two sessions – noon-3 p.m. and 5-8 p.m. 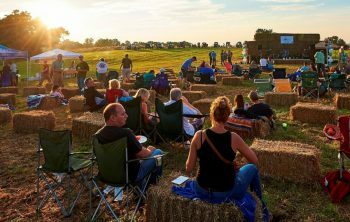 Visitors will be able to enjoy the taste of Maryland with an all-you-can-eat menu featuring crabs, brisket and more at Mount Hope’s annual Blues and Brews. This summer staple, in the feasting glen area of Mount Hope Estate & Winery, welcomes guests to enjoy fresh seafood and other favorites while live music fills the outdoor feasting glen. Each session features a delicious menu of all-you-can-eat seafood and BBQ options, plus fresh ales, wines and ciders, and live musical performances by Mike McMonagle. Tickets are $59.95 for adults and $19.95 for children. The family-oriented event is scheduled for July 14 at Colonial Pennsylvania Plantation (3900 North Sandy Flash Drive, Newtown Square, www.colonialplantation.org). Visitors to “Pirates, Spies and Rogues Day” will be able to engage in pirate battles, go on spy missions, and partake in other family friendly activities. Event participants will also be able to try their hand at making ship biscuits, design their own pirate flag, write a secret message in invisible ink, go on a treasure hunt and more! 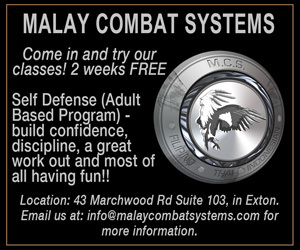 The event will run from 11 a.m.-4 p.m. Admission is $10 for adults and $6 for children. “English Country Dancing,” which has its origins in the late 17th century in England and was popular throughout the 18th and 19th centuries. It features elegant formations and grace combined with music that ranges from the haunting to effervescent. On July 14, from 7:30 to 10:30 p.m., the Historic Houses of Odessa (Main Street, Odessa, Delaware, 302-378-4119, www.historicodessa.org) will host a special dance event when the Dover English Country Dancers hold their 10th annual Colonial Dance. Historic Odessa invites the public to immerse themselves in the sounds and dance formations of the 18th-century in an entertaining and memorable experience. The accomplished performers, including musicians, of the Dover English Country Dancers, who have been promoting 18th century dance since 1979, will instruct participants in a walk through before each dance. Casual dress and comfortable shoes required. Admission is $10 and will be used to benefit the Historic Odessa Foundation’s educational programming. Guests are asked to bring a sweet or savory dish for all to enjoy.